The Judicial Vacancy Advisory Commission is currently receiving applications to fill the judicial vacancy on the 1st Judicial Circuit Court serving Ohio, Brooke and Hancock Counties. The Judicial Vacancy Advisory Commission is also currently receiving applications to fill the judicial vacancy on the 12th Judicial Circuit Court serving Fayette County. Candidates must submit their completed applications by no later than 5:00 p.m. on October 9, 2018. The deadline for submittal of letters of recommendation or comment is October 16, 2018. Applications and instructions are available at www.governor.wv.gov. For more information about the application process, please call Ashley Summitt at 304-558-2000. Interviews will be held in Charleston on October 23 and 24, 2018. The West Virginia State Bar’s Veteran and Military Affairs Committee is participating in the Marine Corp Reserve’s Toys for Tots program this year. Most activities will take place in late October to mid November. If you are interested in volunteering to help by hosting a drop box, collecting and/or sorting toys at the Reserve Center, please contact Committee Co-chairperson Lew Brewer at rbtr8or@outlook.com or Anita Casey at caseya@wvbar.org. The United States District Court for Southern District of West Virginia is currently accepting applications for appointment to the Criminal Justice Act Panel. Members in good standing of the federal bar of the Southern District who have relevant criminal defense experience and a desire to provide quality representation to indigent defendants in a variety of criminal matters are encouraged to review the current CJA Plan and access a PDF-fillable application from the Court’s website at www.wvsd.uscourts.gov .Both documents are located under the CJA tab or you may click here for the application. Applications are due by October 19, 2018 and can be submitted via email to Angie Volk, CJA Supervising Attorney for the Southern District, at angie_volk@wvsd.uscourts.gov. Ms. Volk is also available to answer any questions regarding the application process via email or by calling 304-347-3191. For more information or to register click on the location below. 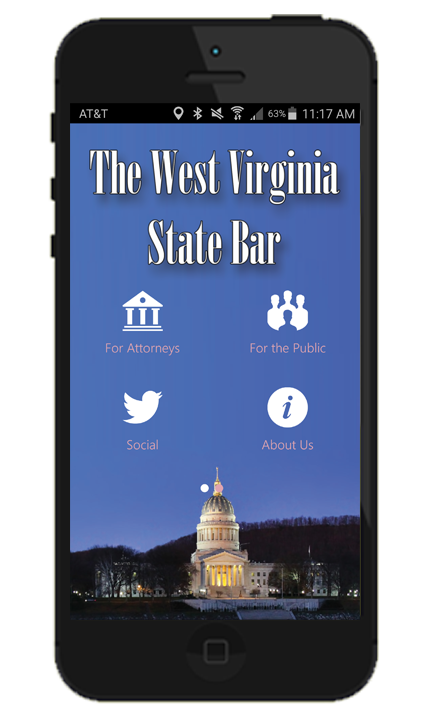 October 15, 2018 – 6:00-9:00 p.m.
October 18, 2018 – 6:00-9:00 p.m.
Further information, including registration information, can be found at www.wvtaxinstitute.com or by calling Ilena Thomas at 304-624-6555.